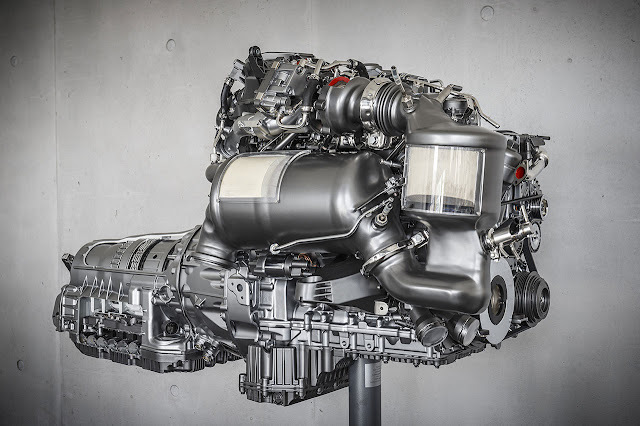 The new four-cylinder diesel unit OM 654 marks the debut of a ground-breaking family of engines from Mercedes-Benz. Exemplary efficiency and emissions ensure that the premium diesel is future-proof while underlining the key role to be played by the diesel engine in achieving the challenging global climate targets. 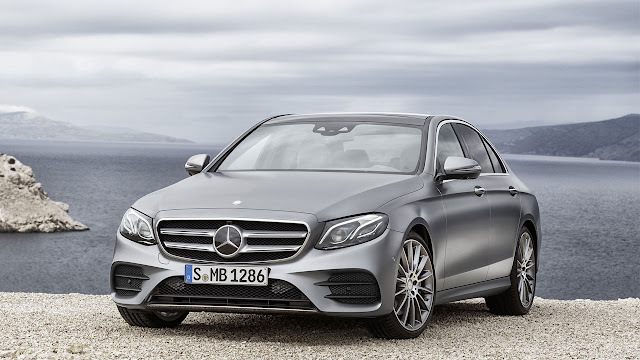 The first all-aluminium four-cylinder diesel engine from Mercedes-Benz celebrates its world premiere in the new E-Class E 220 d in spring 2016. "The new family of engines embodies over 80 years of Mercedes-Benz diesel know-how. The new premium diesels are more efficient and powerful, lighter and more compact - and they are designed to meet all future global emissions standards," says Prof. Dr. Thomas Weber, member of the Daimler Board of Management with responsibility for Group Research and Head of Mercedes-Benz Cars Development. "In our opinion, the diesel engine is indispensable in trucks and cars if we want to further reduce the CO2 emissions from traffic." In its road map towards sustainable mobility, Mercedes-Benz attaches key importance to the optimisation of modern internal combustion engines alongside hybrid and electric vehicles. In particular, the economical, clean and, especially in Europe, highly popular diesel engine makes an important contribution to the further reduction of fleet consumption. Mercedes-Benz is on the right track. In the two decades since 1995, the average consumption of the passenger car fleet has fallen by almost half from 9.2 l/100 km (230 g CO2 /km) to 5.0 l/100 km (125 g CO2/km). Already today, Mercedes-Benz Cars has 68 models that emit less than 120 g/km – and 108 models with the efficiency label A+ or A. 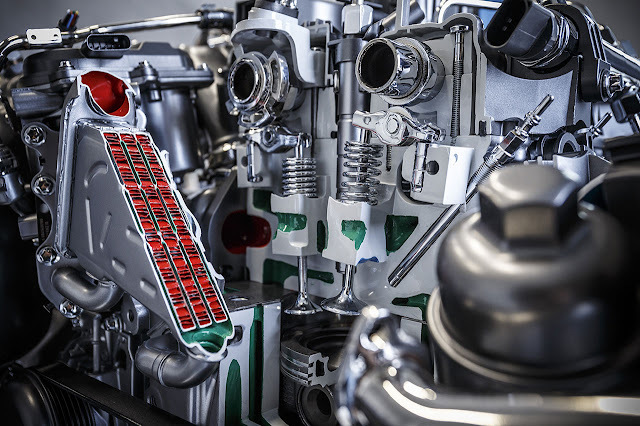 The modular family of engines will find broad application across the entire range of Mercedes-Benz cars and vans. There are plans for several output variants as well as longitudinal and transverse installation in vehicles with front-, rear- and all-wheel drive. 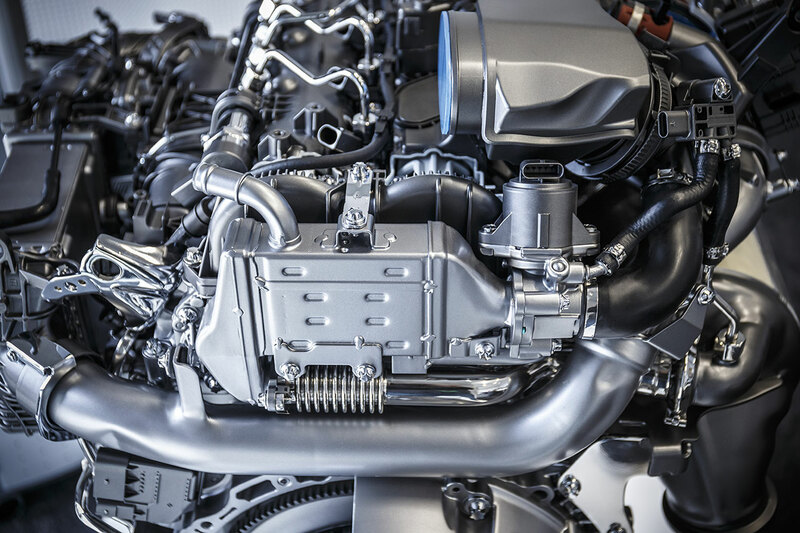 This, too, makes the new engine so significant, because the improvements in efficiency have a direct impact on Mercedes-Benz's fleet consumption. Another of the objectives behind the new generation of engines was to reduce the number of variants as far as possible. The engine's compact dimensions allow even more flexibility in adapting to different vehicle models. The interfaces between drive unit and vehicle have been standardised across all model series. More especially, all the elements of the exhaust aftertreatment system are now configured directly on the engine itself and no longer on the vehicle. The new four-cylinder engine OM 654 is celebrating its world premiere as the 220 d in the new E-Class in spring 2016. The bottom line is that the new engine delivers around 13 percent lower fuel consumption and CO2 emissions along with a further increase in output (143 kW instead of 125 kW). The new diesel engine is designed to meet future emissions legislation (RDE – Real Driving Emissions). In contrast to the current NEDC measurement cycle, the WLTP (Worldwide harmonized Light vehicles Test Procedure) cycle is aimed at ensuring that the figures for standard and real-world consumption are close together in future. In addition, it is planned in Europe to introduce a measuring procedure for Real Driving Emissions (RDE). This, too, is actively supported by Mercedes-Benz. All components of relevance for efficient emissions reduction are installed directly on the engine. Supported by insulation measures and improved catalyst coatings, there is absolutely no need for engine temperature management during cold starting or at low load. In addition to the advantages in terms of emissions, this results in fuel savings, especially on short journeys. Thanks to the near-engine configuration, exhaust aftertreatment has a low heat loss and optimal operating conditions. The new engine is equipped with multiway exhaust gas recirculation (EGR). This combines cooled high-pressure and low-pressure EGR. It makes it possible to significantly further reduce the untreated emissions from the engine across the entire engine map, with the centre of combustion being optimised for fuel economy. The exhaust gas from the turbocharger is sent first to a diesel oxidation catalyst. It next passes the downdraft mixer, in which AdBlue® is added by means of a water-cooled dosing module. Thanks to a specially developed mixing area, the AdBlue® evaporates over the shortest possible distance in the exhaust gas stream and is distributed very uniformly on the surface of the downstream sDPF (particulate filter with coating to reduce nitrogen oxides). Positioned behind the sDPF is an SCR catalyst for further catalytic reduction of the nitrogen oxides. Only then does the treated exhaust gas enter the exhaust system.